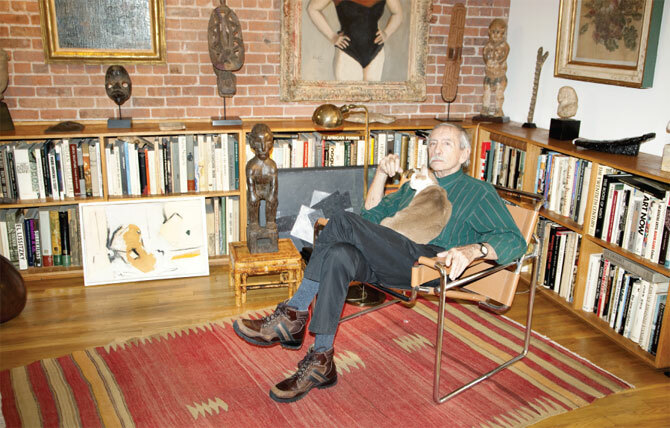 Edward Albee died last September and they are getting around to selling his art collection to fund his foundation. I've blogged about his foundation on NYCPlaywrights, since it is an opportunity for writers. I was sorry to see that the NYTimes article about his art did not include a photo of the art of Albee's boyfriend, but then I was in Albee's loft back in 1999 so he could have redecorated many times since then. 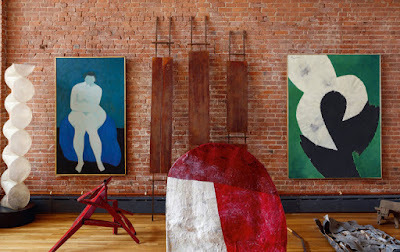 I blogged about my tour of Albee's apartment here. I'm lucky to have survived thanks to the "elevator" in his loft at that time.